We are a dedicated team of kitchen and bath designers. Kitchen & Bath Concepts has been in business for over thirty years. We design, supply and install custom cabinets from Wood-Mode, and European cabinets from SieMatic. We offer kitchen appliances from Sub-Zero Wolf and Gaggenau. We source plumbing fixtures, lighting, tile, stone, and marble. We engage our clients through attentive listening. We delight our clients with ideas unique to their needs and lifestyle. As a husband/wife design team Robby and Lisa draw on a variety of influences to create a versatile portfolio of design styles. We take pride in our range, and use a wide berth of styles from our signature Transitional Elegance as well as Vintage Historical, Traditional French, Contemporary Modern, and many others to create a design truly tailored to the individual. Once you engage our design team, we work closely with you on a comprehensive design concept. A kitchen design idea that is uniquely yours. The architecture of your home is integrated into this concept as well as ergonomic and aesthetic factors. Every detail and expressed desire is taken into account in the overall planning of your space. The result is an individual room that contributes significantly to the quality of your life. You can rely on the professional support and exceptional value offered by our team. Contact us to find out more about the Poggenpohl kitchen journey. Appointments are recommended on weekdays and required on Saturdays. Call today to meet with one of our professional designers. My work experience as an interior designer is vast and varied. My passion for design has lead me down several surprising paths, which gave me opportunities to enhance construction design, style entertainment venues, craft residential properties, and re-imagine retail spaces. I specialize in refinishing and decorating luxury homes. I am grateful that the many winding roads of my design career have led me most recently to Houston. The vibrant economy and diversity of this great city continually inspires me to reach out and share my design philosophies with others. 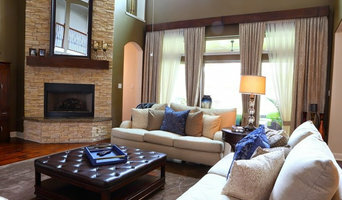 I believe there is an intimate connection between a home and a homeowner. A well-designed environment should go beyond just beautiful aesthetics. Successfully executed interior spaces must have the capacity to lift your spirits, improve your mood, and above all function. For this reason, I am always honored when a client entrusts me with their home. My goal is to develop healthy relationships with my clients in order to fully understand and create spaces that reflect their lifestyle needs and tastes. In order to maintain solid working relationships, I believe communication must be the cornerstone of project management. I am a firm believer in keeping clients updated about project progress, estimated times of completion, explanation of process, and keeping projects within budget. My clients’ happiness at all stages of projects, from initial consultation to completion, is of utmost importance to me and is what makes my job so rewarding. I am not satisfied until you are. Custom Cabinets by Design is a cabinet dealer and design firm supplying high quality custom cabinetry and design in the Houston and surrounding areas. Michael offers custom designs and shop drawings along with the highest quality factory and shop built cabinetry. We offer Wellborn Cabinet, Traditional Overlay and Inset Cabinetry, Bellmont Cabinet - Frameless or Full overlay cabinets offering Contemporary and Traditional styles and Our newest, locally made Custom Cabinetry from Texas Style Cabinets, All styles, designs and finishes...truly 100% custom. We are Made in America and have a cabinet that will fit any budget, any size remodel or new construction and we work well with Architects, Designers, Builders and Home Owners. We have over 23 years experience in cabinet design, build and finish. We've brought professional kitchen design and installation services to the greater Houston / Galveston area and beyond since 1983. We are authorized dealers for Wood-Mode custom cabinetry, Sub-Zero, Wolf, Cove and Vent-A-Hood appliances, gorgeous Cambria countertops, and other fine products. See all this and more in our showroom in Webster. 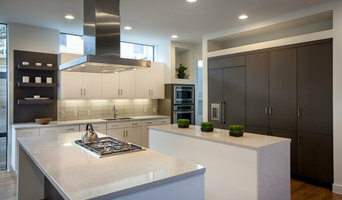 Working with local contractors, interior designers and suppliers, we bring the most advanced kitchens to our clients and theirs on both remodel and new construction projects. Our design team includes owner Randy Godeau, along with Scott Haig CKD and Laura Avila Minor, AAS Interior Designer. We are active members of the NKBA, and we enjoy an A+ rating with the BBB of Metropolitan Houston. Planning is essential to any successful project, whether it be a remodel or new home. Our professional design services include detailed planning to meet your exact needs and taste, utilizing 3D computer-generated views so you can see exactly how your kitchen will look and function before any construction begins. In our showroom, we can show you our advanced drawer systems, accessories, roll-outs, Lazy-Susans, small appliance storage, trash & recycling storage, knife storage, and more. We can also show you the most advanced cabinet lighting and power systems, both inside and outside the cabinets, including drawer lighting and power strips below the upper cabinets, as well as both traditional and automated lighting controls and more. Independent CKD--NKBA Certified Kitchen Designer based at Bay Area Kitchens in the Houston Metro Area; Bachelor of Architecture from Kansas State University; Recent Board Member on the Texas Gulf Coast Chapter of the National Kitchen and Bath Association (NKBA). Aurora Fain is a highly creative person with over 17 years in the design industry. She is an expert in space planning and a true visionary with arsenal of design originality. Clients include sports figures, celebrities, professionals and all walks of life wanting a well designed space. Aurora is a mother, a wife, and artist who values humor in life above all else. We remodel Kitchens, Baths, and Houses. We have a design team that works with the clients to meet all of there needs. Cabinets & Designs is a Houston based company specializing in Wood-Mode fine custom cabinetry and Brookhaven by Wood-Mode cabinetry. Our staff has over 40 years of combined design experience. With the different variations in style, function and form we offer, you will find something that fits your lifestyle at Cabinets & Designs. Wood-Mode and Brookhaven’s extensive collection of door styles, finishes, and fittings make it the front runner in custom and semi-custom cabinetry. One-of-a-kind finishes and precise dimensions allow for the utmost flexibility in design. A Lifetime Limited Warranty proves the durability and longevity of our Wood-Mode and Brookhaven products. All of our cabinets are proudly manufactured in the USA. Sub-Zero/Wolf Appliances, Cosentino Countertops (Silestone, Sensa Granite, Eco, and Prexury), and William Rogers Wood Countertops accompany the quality cabinetry in the showroom. Whether you want your kitchen to be a place to relax and enjoy your family or a fabulous room to entertain your friends, with Escalada USA, the kitchen of your dreams is closer than you think. What does a Richmond kitchen designer or bathroom designer do? A kitchen and bath design professional in Richmond, TX knows to take all of these crucial points into consideration and can help plan the layout, materials and overall look and feel of either of these rooms in your home. Kitchen designers, as well as bathroom designers, are constantly staying on top of trends in the ever-changing industry. The designer also knows the best layout for your room, and can configure the layout for optimal functionality and utilization of the space. In the kitchen the refrigerator, stove and sink should be laid out in relation to one another, and it should be seamless and easy to move from one to the other. A Richmond kitchen and bath designer will know how to work with a contractor and architect to plan the flow of the room to work best for your needs. Here are some related professionals and vendors to complement the work of kitchen & bath designers: Kitchen & Bath Fixtures, Appliances, Tile, Stone & Countertops, Cabinets & Cabinetry, Woodworkers & Carpenters. Before you talk to bath and kitchen designers in Richmond, TX, consider how you will use the room. For your bathroom, is it necessary to have a bathtub for bathing kids or pets, or would a shower suffice? Perhaps all you need is a half bath for downstairs or a smaller guest bath for occasional use. Similarly, for kitchen renovations consider your cooking habits. Do you eat out every night but need a space to entertain in? If so, a smaller kitchen might be fine for you, with a space devoted to wine storage or a bar, whereas others might prefer a bigger stove or extra cabinets. When interviewing Richmond kitchen and bath designers, make sure to share these habits so they can best fit the room to suit your needs. Find a Richmond kitchen designer or bathroom designer on Houzz. Narrow your search in the Professionals section of the website to Richmond, TX kitchen and bath designers. You can also look through photos in Richmond, TX to find a kitchen or bathroom you like, then contact the professional who designed it.